In 2018, The Historical Society of Oak Park and River Forest marks its first full year of operation in the new Oak Park River Forest Museum after moving from Pleasant Home, its headquarters for nearly a half century. But 2018 also marks the 50th anniversary of the Historical Society as a not-for-profit organization, dedicated to preserving and telling the stories about all aspects of our sister villages. A follow-up meeting was held later in May at Unity Temple and the group soon toured the Evanston Historical Society in pursuit of ideas and advice. Other activities quickly followed, including writing formal Articles of Incorporation to be submitted to the State of Illinois and filing with the Internal Revenue Service for 501(c)3 tax exempt status as a not-for-profit educational organization. 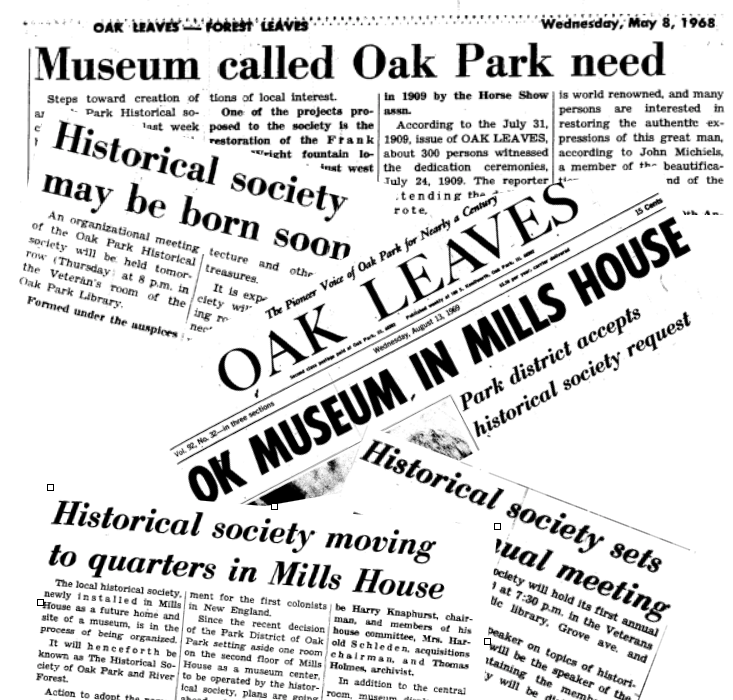 In 1969, officers of the new Historical Society appproached the Park District of Oak Park to request that the new group be allowed to open a museum in one of the bedrooms on the second floor of Pleasant Home in Mills Park. The Pleasant Home mansion, which had been built as a private residence, had been purchased by the Park District in 1939 and had housed the Senior Citizens Center of Oak Park and River Forest since the 1950s. By the late 1960s, though, the high cost of maintaining the massive house had become burdensome and there were discussions about demolishing the building. The Historical Society successfully argued that if it opened a museum in the space, the Park District could levy a new museum tax under Illinois state law that would allow for building restoration and renovation. That proposal proved crucial to the funding of Pleasant Home, now designated a National Historic Landmark. For the first decade of its existence, the all-volunteer Historical Society began to gather artifacts, tell stories through exhibits and lectures, and plan programs like village tours and bus trips. It also included in its mission the goal of assisting with historic preservation in the villages. The Historical Society continued to grow and was soon cramped in its one bedroom. By the 1980s, additional space was sought and granted in Pleasant Home. 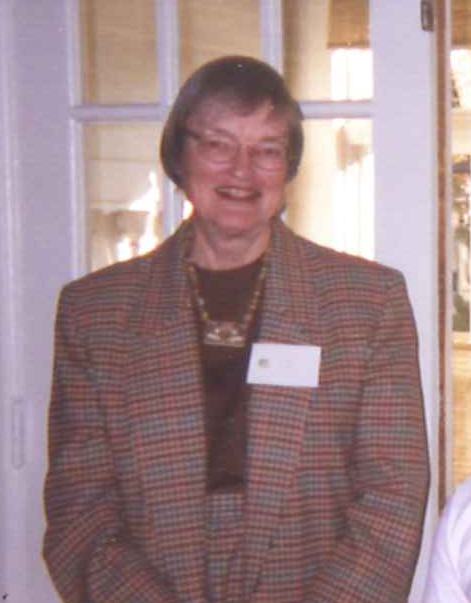 In 1992, the Historical Society finalized a new agreement with the Park District of Oak Park to rent the entire second and third floors of Pleasant Home, allowing the creation of a stand-alone Research Center, office space, exhibit rooms a gift shop and a children’s room. 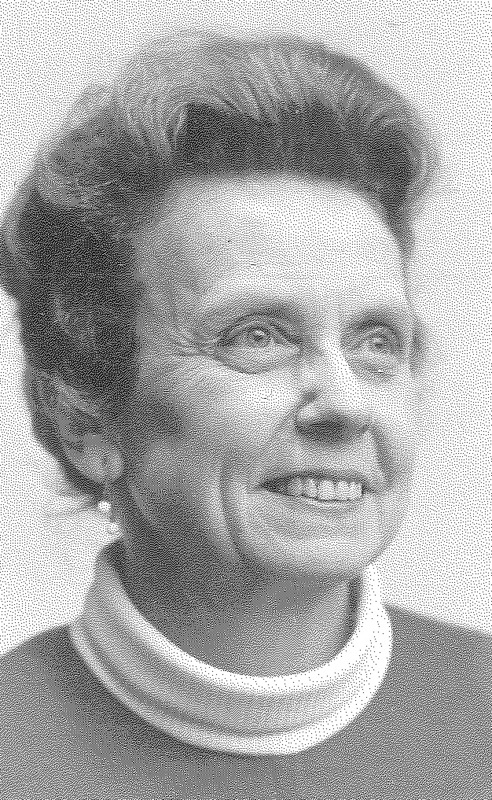 That growth fueled more donations of artifacts and a growth in the donation of the records of organizations such as the Rotary Club of OPRF and the League of Women Voters of OPRF. In essence, the Historical Society became the “go-to” repository and archives for the two villages. Space became crowded and a more aggressive search for a new home was ramped up. In 2007, the Historical Society approached the Village of Oak Park to explore the possibility of creating a new museum in the vacant village-owned building at the southeast corner of Lake Street and Lombard Avenue that was once a firehouse. Years of planning and fund raising began. And then, more planning and more fund raising! Finally, we began construction in 2015. The dream became a reality with the Grand Opening of Oak Park River Forest Museum at 129 Lake Street in September 2017. For The Historical Society of Oak Park and River Forest, 2018 is a milepost: a celebration of both our Golden Anniversary and our renaissance as the operator of Oak Park River Forest Museum. Thank you for joining us as we continue to discover the past of Oak Park and River Forest and carry the stories of our exceptional villages into the future for both residents and visitors. Learn more about the history of Oak Park River Forest Museum's building here.